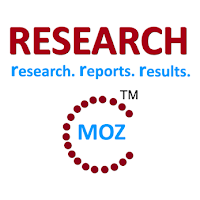 ALBANY, NY, June 2015 -- ResearchMoz.us includes new market research report " ICT Investment Trends in Russia, 2015 Update: Enterprise ICT spending patterns through to the end of 2016" to its huge collection of research reports. ICT investment trends in Russia presents the findings from a survey of 155 Russian enterprises regarding their Information & Communications Technology (ICT) investment trends. The survey investigates how Russian enterprises currently allocate their ICT budgets across the core areas of enterprise ICT expenditure: hardware, software, IT services, communications, and consulting. The report illustrates the core technologies enterprises are investing in, including business intelligence, security products, and cloud computing. Understand the approach adopted by enterprises in Russia to purchase technology and get a better insight into ICT vendors and services providers when pitching their solutions to enterprises in Russia.